The Jackson 5: You decide. she is so cute I just love that girl. I'm with here Nana. I just love that little girl!!! Are you letting your daughter eat play dough? Haha! What is that? He is such a funny girl! 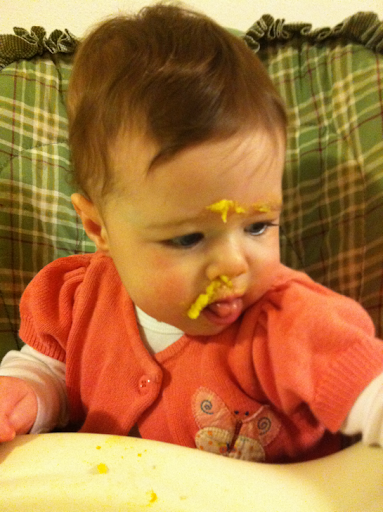 She's eating, or at least attempting to eat, corn casserole. Not a favorite at our house if you couldn't tell. Sleep. How I miss you.